China has launched two new satellites to advance its own navigational system called BeiDou aka COMPASS; which will rival the American GPS (Global Positioning System). 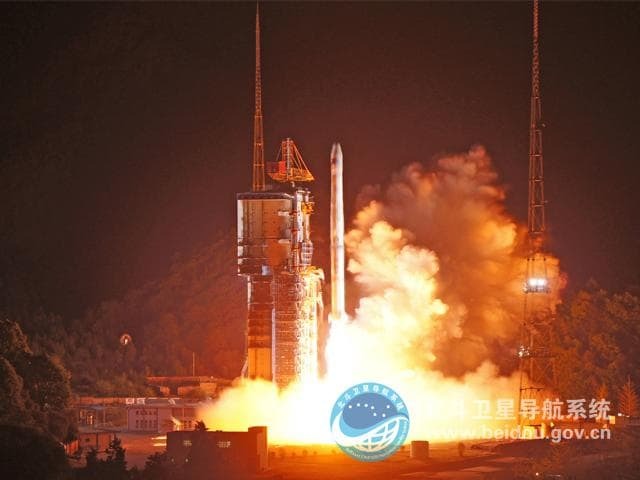 The new satellites were launched from Xichang Satellite Launch Center in the Sichuan at about 8:29 pm, local time. These two satellites are numbered 18 and 19 among a total of about 35 satellites that will ultimately form the navigation system. This was China's third satellite launch in this year and once complete, China aims to have global coverage. China already had its first BeiDou navigation system in place since year 2000; but with only three satellites, it offered a very limited coverage and applications. The current system is officially called BeiDou-2. It began functioning in China in 2011 with just about 10 satellites and later on expanded to APAC region towards end of 2012. Chinese space agency CNSA aka China National Space Administration expects to have a fully functional navigation system by 2020, with pan-world coverage. Note that India's ISRO is also building its own GPS rival that goes by the name 'IRNSS'. Apart from India and United States, Russia has GLONASS and Europe has its own Galileo navigation system. The BeiDou system is currently available for civilian services and used in transportation and weather forecasting. Additional coverage on the source link below.